Here is another moving testimony from Danielle, our Special Activities Coordinator! 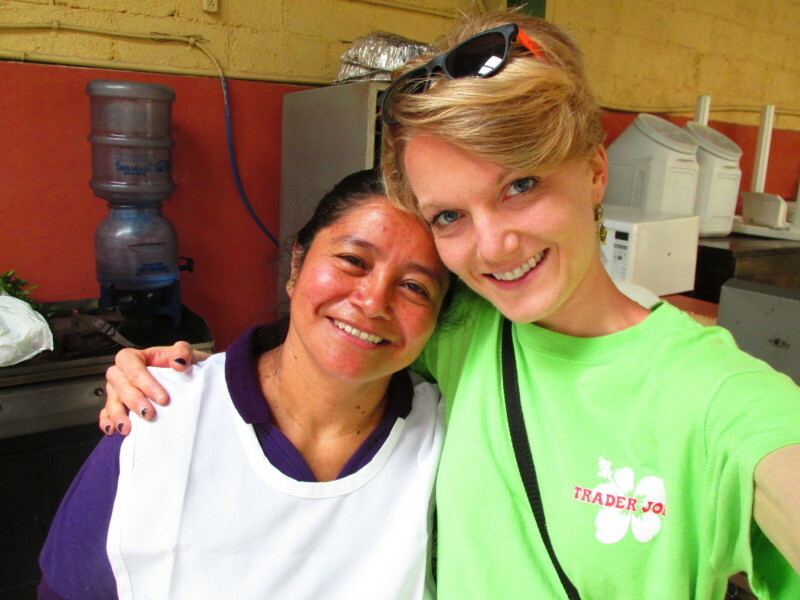 “From April 30th-May 6th, I had the amazing opportunity to go down to our Dreamer Center in Guatemala. Ever since I was a little girl, I have been passionate about other cultures, social justice, human rights, children, and travel. While at the Dreamer Center, I was able to work in the Atkinson Family Clinics, help with the grade school children, go on social visits with the dedicated Social Workers into the urban neighborhoods and mountainside slums, and collect food donations, which are distributed during the week to the impoverished women and their families that are in our programs. One of the most impacting parts of my trip was working in Casa Jackson Malnourished Infants Hospital. It was incredible to see how the staff there delivered excellent medical and emotional care to the sickly infants, despite being housed in a tiny facility. The main hospital was destroyed by a devastating flood, so they have had to make do with the little resources left. Lastly, the single and widowed mothers at Casa Jackson almost moved me to tears at times. Their resiliency, selflessness, and determination to provide their sickly babies a better future, while still remaining positive and kind in the midst of such difficult circumstances, blew me away.